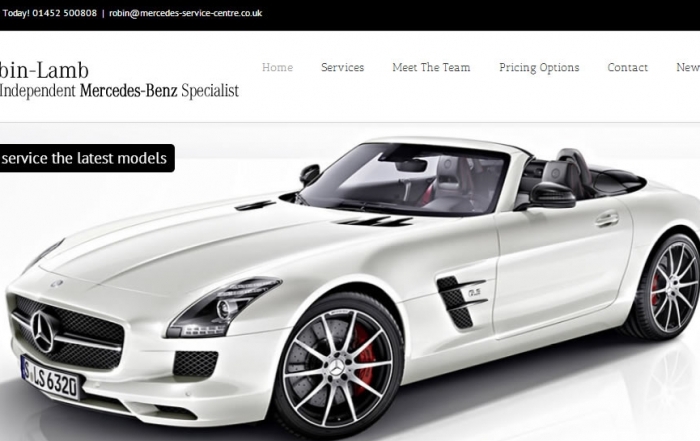 Robin Lamb Independent Mercedes We are a completely independent Mercedes Benz service and repair specialist. Robin Lamb Independent Mercedes specialist is a family run business, which was formed in 2002 by Robin Lamb the former manager of Gloucester Mercedes main dealer and Steve Greenslade a Mercedes Master technician, together they built a business which expanded into bigger premises. The addition of Terry and Scott Browning both Mercedes trained Diagnostic technicians. The team has been completed by Joseph Phillips-Lamb, who joined as an apprentice and has now completed his training. Our wealth of knowledge from 1980 to present day help us deal with most Mercedes problems be it mechanical or electrical in a customer friendly atmosphere. We offer a complete range of services for the Mercedes owner with collection and delivery service, loan cars or a while you wait service. Our workshop is kitted out with a full range of Mercedes tools; two Mercedes Star diagnostic computers, Air conditioning, Tyre fitting and 5 tow ramp for light commercial and limos. Please browse the site for any information about our services. If there is anything else you require or you would like a quote or to book your vehicle in for service please Contact Us via email, telephone (01452 500 808), fax (01452 622123) or in person. Hi, I just wanted to say what a excellent job you did in fixing the suspension on my SL, I thought the cost was also very good compared to other quotes I had. Just had a service with these guys and I have to say it was better than going to a main dealers! Thank you you so much for fixing my CLK so quickly and without breaking the bank, I will tell all my friends about you guys, thanks again. I have to say how impressive and professional I found you all, you beat all my expectations with the level of service and advice you gave me.